Safe Work Australia’s industry snapshot for construction revealed that fatalities are still relatively high in that industry, with three deaths per 100,000 workers, and 8.1 serious claims per million hours worked. 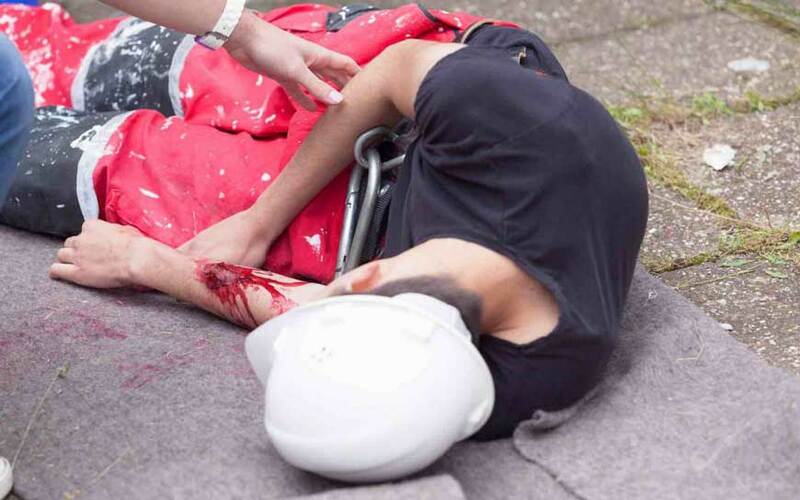 The construction services sub-sector still accounts for 63.7% of serious claims and 62% of worker fatalities, with falls from height being the category responsible for the highest number of fatalities. So should we just accept that construction is a dangerous game and get over it, or can we do something about it? Certainly there is adequate training and safety equipment mandated by law to prevent most of these deaths and injuries, so why are they still so high? At least part of the answer could be found in the implementation of height safety training. You see, height safety training isn’t always adequate. Why? Because some training organisations are cutting courses to the bare bones and reducing prices to increase their market share… And they’re getting away with it, because the governing body ASQA currently provides no timeframe guidance for units of competence or courses. But what do they keep and what do they throw out? Imagine cutting an apprenticeship in half, just cutting some units down to bare outlines. Would you be happy to hire new tradesmen from those courses? Would you put them at the same level as tradies who’d completed full apprenticeships? The same applies to safety training. Imagine your workforce having just a bare-bones command of the safety knowledge they require for their jobs. That’s exactly what is happening to some companies. Invariably management is unaware that their staff do not have the training necessary to apply in an emergency, they only have a piece of paper or a card outlining what they should know. That missing knowledge could well be what the worker needed to prevent a fall in a certain situation they find themselves in. In the event of a death resulting from that inadequate training, management would probably escape penalties as they technically fulfilled their obligations under the WHS act – but there’s no escaping the disruption and loss of income resulting from the effect on the morale of other workers. It’s only a matter of time before there is a test case resulting from inadequate training and somebody will be held liable for a death or serious injury. We would hope it is the RTO who has cut corners to increase profits – but responsibility could be shared by the employer. After all, ignorance has never been a defense in any Australian court. If you’re not sure how good the training that you’re currently receiving is, you might like to benchmark it against training that is credible and effective. To allow you to do that, Zokal have an offer for October and November. We’ll let you send two management staff members to any height safety or confined space course we run for free. Click here to book your free training now!